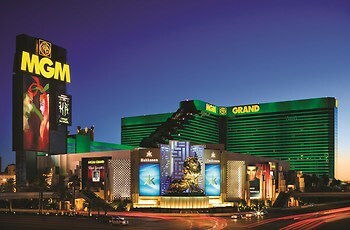 MGM Grand Hotel & Casino, Las Vegas, United States of America - Lowest Rate Guaranteed! We did not like being charged for parking. On our checkout day there was no hot water not even warm water. This made showering a problem. Staff was very friendly. Cleanliness. Just wish we would have had a small refigerator and coffee pot in our room. I know we got a great deal on the room, but I was hoping it was still going to be equipped with these features.